We may NOT be the company for you if…. Please, choose my pet care provider wisely. Whether you choose US or someone else, we want you to be informed to make the safest, wisest choice for your pet care. We, at Professional Pet Sitting Etc, VALUE SAFETY. The safety of your pets, you, your home, our pet sitters and more. We are very concerned about the treatment, pets and clients have received from various pet care providers. This is no way means that all non professional pet care providers are bad, it does mean that YOU have to be VERY careful and know what you are getting and paying for. We have been in business for 27+ years. We have literally seen this industry explode. Everyone thinks they can be a pet sitter, but very few think the idea through. We try very hard to arm you with information, so you can make an informed choice, one that is right for you and your pets. And Now, here are a few things to think about, so you can decide if we are right for you. You are looking for the cheapest pet care for your pets. We are not the most expensive but quality does cost. We are at the average cost for pet sitting. We are registered in our state to legally proved services as a business, we are completely insured, bonded, workman’s comp insurance, and much, much more that a proper business should have. If you are looking for cheap, be very careful. Really screen them. You do not want to give up quality when it comes to your pets and home. If you have the time, know how to do it, have the forms and want to pay for the background checks, great (and please do ALL the checking if they are on a listing site or a one person pet sitting company). As a company that has been in the business for 27 years. We take care of all the background checks, the training, policy and procedures, insurance, workman’s comp, and soooo much more to ensure that you have great pet care. We have HUNDREDS of people apply to become part of our pet care team. The number one thing that all of the cite as the reason they would be a good pet sitter – they have owned pets and love them!!! 98% could not pass our qualifications. The sad truth is that we have seen those that could not pass our qualifications on listing sites providing pet care for the public. And have heard about a few of these individuals in the article above. We take pet care VERY seriously. Our registration process is involved, we have a lot of questions and most people can complete our process in about 30-60 minutes. Why so thorough? Experience in business. We want to know everything possible because the more we know, the better we can make the pet sitting experience for you and your pets. Even if we are not going to feed your pets because we are only needed for a dog walk. Why, do we need to know that? Because many times, our clients have had an emergency and needed us to come unexpectedly. So, we like to have everything in place, just in case. Writing care instructions when you are relaxed and can think is so much better than having an emergency and you need to be with loved ones and forgetting to leave out the cat food and medication (if needed). We do this for you. Our sitters have gps to mark arrivals and departures, so I know that every pet in our care is cared for. This leaves you to do what you need to do, worry free. We understand that most people only want one person. However, in 27 years of being in business, things do and will happen to make that impossible. When I started, I did all visits all the time. It was very hard when my car broke down, when I became sick, when my daughter became ill, when my mom and dad passed away. Things happen. So, we have a team of pet care professionals who help each other to always ensure that your pet is cared for no matter what happens. This all happens seamlessly and you do not have to worry or do anything. Great, but even though your only need help right now for dog walking a few times a week, does not mean that at some point an emergency may happen. If you already have everything all set up, you can make a few clicks to make sure your pets are cared for and be concentrating on your emergency. Emergencies never happen when it is easy. Knowing you have a pet care provider there just in case, can be priceless. At Professional Pet Sitting Etc, once you have a complete profile, we know how much is fed, where the food is, treats, and more, even if we are just used for a dog walk, here and there. When you have a family emergency, you can just go online, let us know you have a family emergency, make a reservation in 2 minutes and be on your way. We will send a confirmation and start as soon as we can. Leaving you to fully concentrate on your family. You enjoy finding a new pet sitter when your old sitter moves away, gets a full time job, goes on vacation, or just stops pet sitting. Once you are a registered Professional Pet Sitting Etc client, you will never have to worry about looking and researching another petsitter. Again, we have a team of pet care professionals who help each other to always ensure that your pet is cared for no matter what happens. This all happens seamlessly and you do not have to worry or do anything. We are a very informational based company. We like to give you lots of information about our company, about the owner, about pet care and more (lots on our website and in emails). You can choose to absorb all of the information we give you or not. It is up to you. We believe that you should know a lot about a company and its owner if you will be entrusting your pets and home to us. Personally, I would want more then 1-2 paragraphs about a company and its owner if I were to hand over keys to my home and the care of my pets. You want a person just starting in pet sitting or a young business. That is very nice of you, but will they know what to do in an emergency? Do they have back up plans? Murphy’s law, it is not will it happen but when. In 27+ years of being in business, we have had just about everything happen while people were away. So, it is nice to want to help a person start out and I get it, but I would want to know that a business has experience in place for just about everything to give me peace of mind. Listing sites are starting to pop up all over and have only been around for the last 5 years or so. BE VERY CAUTIOUS using a listing site for pet care. Also many listing sites mix up pet sitting and boarding. Pet Sitting is a service that will come to the pets’ home for care, Boarding is a service that provides care when the pets are brought to a place. What is a listing site? A listing site allows you to put in the city and state, where you live to give you a list of people to help with something. Some listing sites are Uber, B2B, care, and now, rover, dogvacay, etc. These listing sites are NOT supporting your local companies. You are supporting these listing sites that are located out of your local community and making money off these people. You can also look for where this listing company is based out of. Just google “where is (name) business location)” or look for a BBB (Better Business Bureau) Business Profile. Unfortunately, these listing sites are not experts in their fields. They are looking for easy ways to make money and are doing just that ! Making ALOT of money. There are many lawsuits against all listing sites mentioned and as long as they make money, they will continue and there will be more lawsuits. I do not want you to be one of them. The appeal of these sites are they are EASY and CHEAP. If you do not care much about pet care and want cheap and easy, then these sites are for you. Many of these listing sites have apps to make it super easy to book a reservation and these apps appeal to the younger generation. These sites are similar to craigslist but some claim they will protect you. Really, all they are is a place for people to advertise services easily. These sites take person’s word that they are legal and insured but almost all are not and almost all do not pay taxes. These sites are NOT pet care businesses, they are just a site to list people who pay to be on their site. The site makes their money by keeping a percentage from each reservation. These sites are NOT checking these people, many providers do not pay taxes or have any insurances. This is how they can provide cheap pet care. If you prefer to use a listing site, please be VERY careful. Really make sure that the person you choose is thoroughly checked out and make sure that you check up so that your pet receives the proper care. Again, I am sure there are a few people on there that may be great and are ethical, but please, make sure to really check them out. But, then again, why worry. We understand and we look for that too but caring for people’s pets and home requires much more. It requires dedication, reliability, a come hell or high water attitude to make sure that your pets will be cared for no matter what happens. We have heard many people say that the person they used before did not come every day for their cats because they put down three bowls of food and did not think it necessary. Or they slept in on Saturday morning and came at 11am to let the dog out and so many other stories. Taking on the responsibilities of pet care for others takes so much more than just loving pets. Many people do this. They believe that that person must be good since they work with animals. Some may be but again, that is like wanting someone who loves pets. If they work a job, they will need to put pet care around their hours at the hospital. Will they take it seriously on their day off? It is their only day to sleep in. If something happens to this person, or if this person gives you bad service, you must remember that the Animal Hospital will take no responsibility. The Animal Hospital does not provide pet sitting as a service. Sometimes, people think, that if they love their veterinarian then a person working there must be good too. Not necessarily true. I have heard many stories that were not great with this type of pet care provider, mostly because they did not think things through. Something would happen that they were not prepared for. So, please check these people out, do not assume that they know everything just because they work at your favorite Animal Hospital. That sounds amazing! 24 hours of someone being with your pets. This is a person I would want to be completely and thoroughly checked. They will be in your home A LOT. Make sure you have legal recourse that they are a business and have insurance if something happens. You are counting on this person. If they are just a person, you may need to create rules. A business like mine, already has policy and procedures that employees must follow but you would be surprised at how many people out there who are providing pet care need to be told what to do and not to do. We have had people tell us of people having dinner parties in their home, pool parties and more!! Our sitters are not allowed to have any non-employees in a clients’ home. You do not mind receiving a call while you are on vacation from your pet sitter stating she has a family emergency, car accident or whatever and she can not continue pet care. I, personally would be so stressed out if that happened to me on vacation. There should always be a plan a, b, c, d and more. At Professional Pet Sitting Etc, we have learned this in 27+ years of business. Things will happen!! In the state of New Hampshire to conduct any kind of business, everyone needs to be registered to do so. If anything happens with your pet, you would want to make sure that this person has insurance if the sitter is found at fault. If this sitter ever fell down your stairs or got hurt on your property, you do not want to have your home owners’ insurance go up. It may not be important to you, but it does show that this person is serious in the business of pet care. Creating a website shows that this pet care provider plans on being in business for a while. Hopefully whenever you need them, especially in an emergency. Having a website, will give you some insight into this person, they should have an About Us page. Hopefully, it will have more then 1-2 paragraphs. A good About Us page should tell you this person’s experience, training and more. It should create a sense that after you read it, you feel like you know her. The owner of Professional Pet Sitting Etc, Dori Whynott, has a full life history on our website. Yup, from about the time she was born to almost present day. It gets added to every now and then. Most people enjoy knowing who the owner is and they let us know all the time how much they enjoy this. Sounds great!! Your pet will have a vacation too! You see pictures of pets on the person’s couch, watching tv, snuggling. There are soooo many things you need to make sure of when your pet will be BOARDING (yes, any time your pet goes somewhere to be cared for it is called BOARDING, not pet sitting). Again, I am sure there are some great people doing this but even more things can go wrong in an in home boarding situation. Dogs have gotten loose and lost, pets have been killed, boarders pets have been killed by client’s pets, people have been bitten and more. When you bring your pet somewhere, many pets will try to get home, through an open door, scale a fence even if they have never done this before, dig under a fence, cry all night, and more. 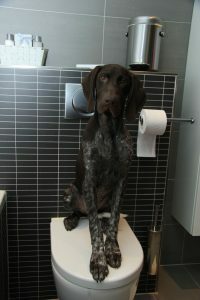 Also, if there are other pets in the home, dogs may become territorial when they have never done so before. They may guard toys, blankets, beds, food bowls and fight another pet that comes too close to these, even if they have never done so before. 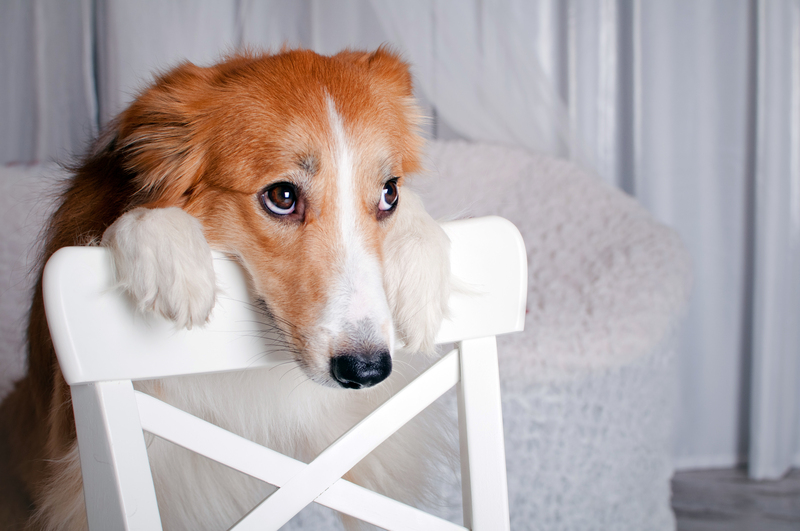 If your pet and the pets who live there have any issues, or your pet shows signs of trying to go home, you will have to be okay with your pet being crated for safety. ASK lots of questions if this person is not a business. Scared, frightening or dogs determined to get home can do some crazy things. What will the plan be if this person goes out for errands? Will pets all be crated? Unsupervised pets can be an accident waiting to happen. Are there children in the home? How do they interact with the pets? Will they have friends over and interacting with pets? Is your pet comfortable with children? Will the children be going in and out to play? What happen’s if your dog bites someone? Will your dog be quarantined? Do you need to provide vaccine proof (you should, any boarding person should require this for the health of YOUR pet as well as theirs and any other pet that will be in their home). Will your pet be the ONLY boarder or could there be other pets coming and going in this home? This is a big question. Just like in any daycare, every time a dog comes and goes, the dynamics of the group changes and this could cause stress and anxiety in all the dogs. The person providing care needs to know the signs and prevent it from escalating. If there will be more dogs coming and going, what are the town ordinances? Many towns have a limit to the number of pets. One person doing in home boarding was reported by her neighbor. The police, dog officer and humane society showed up at her door and shut her down. There were no other issues other then the town ordinance prevented more than 3 pets in a home. What happens if your dog consistently barks and the neighbors report it and the person is fined? What if your dog cries all night or destroys something? What if your dog has a medical emergency? Does this person have a vehicle to quickly transport your pet to the hospital? Many times, in home boarders find this a great way to make money because they do not have transportation. This can be a terrible issue if a medical emergency occurs and time is of the essence. So, if you prefer the above topics, we may not be for you. However, if you would like a company that has been in business since 1990, has a slew of testimonials, cares for thousands of pets every month, has all the proper legal documents to conduct business in the state of New Hampshire, thoroughly checks and trains all employees, has all required insurances, and so much more, Then you have chosen wisely and we would love to help you with your pet care. However, whether you choose us or someone else for your pet care, please choose carefully, your pet’s safety, life and more are counting on your wise choice. How does your cat get your attention? Your Cat Does certain Things? It’s estimated that 30 – 37% of households in the U.S. include at least one cat, with the total number of cats in the U.S. somewhere in the 74+ million range. Yep… that’s a lot of cats! And of that 74+ million, how many do we truly understand when it comes to why they do what they do? You got that right… not a one! Obviously, cats are the preferred choice of pet for many of us, despite their mysterious ways, bewildering behaviors and oddball obsessions. If you share your life with a furr-ever feline friend, there are likely numerous things she does that have you scratching your head and asking “why?” Well, maybe you can find some answers here! Believe it or not, this is actually a form of feline affection. By rubbing against you – or head “bunting” you – Fluffy is marking you with her scent, claiming you as her own. You see, cats have scent glands all over their body, with the most concentrated area being their heads, with glands under the chin, around the mouth, on the ears and at the temples. When she knocks heads with you, it’s because you are important to her and she wants everyone to know it! Chances are, when Fluffy meows at you, you respond. After time, it’s as if the two of you are actually having a conversation. 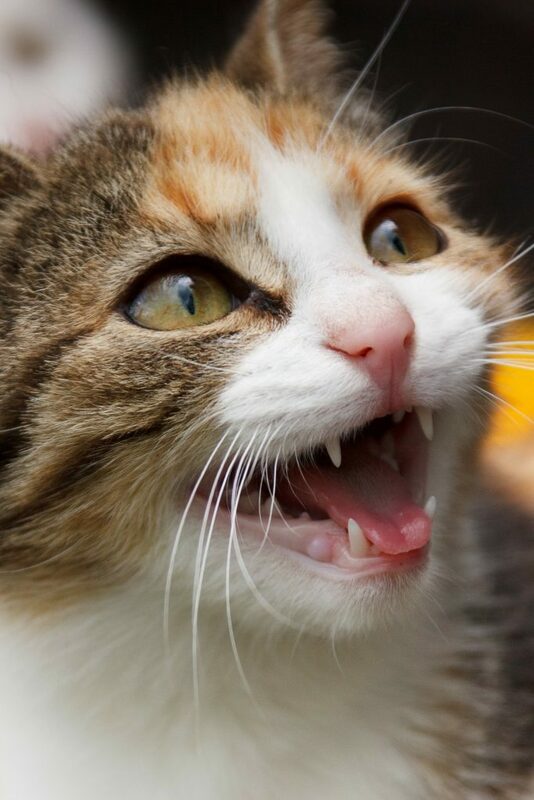 Cats are smart and it doesn’t take them long to learn meowing yields results. Now, if your cat meows non-stop, the only true way to end the madness is to remove the reinforcement she receives when she meows. This is much easier said than done, as most cats aren’t keen on change and their mild-mannered meows may turn into horrid howls. Sometimes, it’s purely a matter of choosing the lesser of two evils if you want to maintain your sanity! Keep in mind, excessive meowing and other vocalization such as howling, growling and hissing can also indicate your kitty is feeling anxious, experiencing age-related changes, or is in pain. If this seems to be the case, seek advice from your veterinarian. How many times have you been sitting comfortably on your couch, Fluffy in your lap purring with pleasure as you rub her when, suddenly and with no warning, you feel her razor sharp teeth sink into your hand? As we all know, cats are finicky, fickle creatures and these “love bites” tend to happen when Fluffy has decided “okay, I’ve had enough.” While this type of aggression isn’t fully understood by animal researchers, a common theory suggests most cats simply like being in control, and by nipping you when she’s had enough canoodling, Fluffy is taking control of the situation. Cats definitely have their fair share of quirks, but it’s those quirks that make them the unique, entertaining, charismatic companions we know and love!